Episode 2×05 “Stuck” — The first responders race to rescue victims trapped in various tight spots. Meanwhile, Athena contemplates accepting a promotion that will take her out of the field, and Maddie decides to make a move of her own. Then, Buck wonders if he should move on, and Chimney finally deals with the aftermath of his near fatal car crash. Also, Eddie turns to the crew for help with his young son. Guest Cast: Cocoa Brown as Carla Price; Gavin McHugh as Christopher Diaz; Claudia Christian as Capt. Elaine Maynard; Rachel Hanley as Tatiana. Air Date: Monday, Oct. 8 (9:00-10:00 PM ET/PT) on FOX. 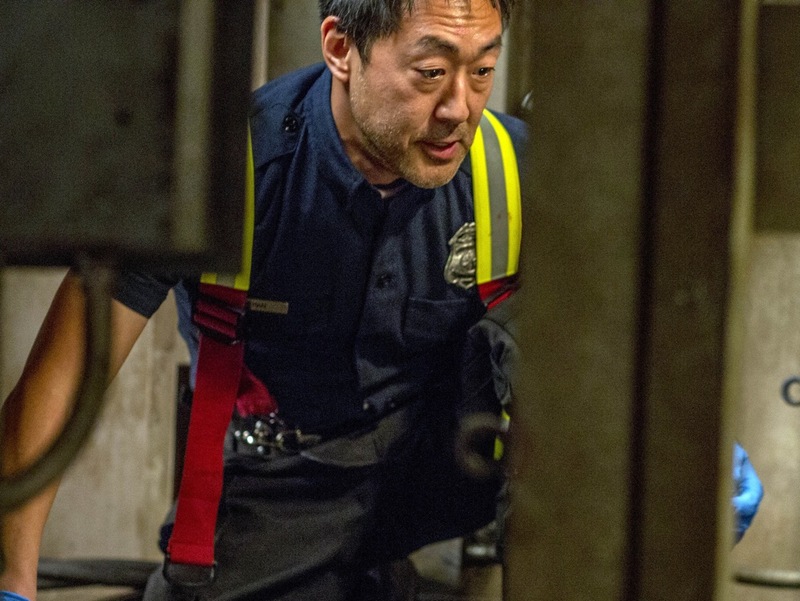 9-1-1: Kenneth Choi in the “Stuck” episode of 9-1-1 airing Monday, Oct. 15 (9:00-10:00 PM ET/PT) on FOX. © 2018 FOX Broadcasting. CR: Jack Zeman / FOX.